The wide range pumps are so called because of the variable displacement hydraulic motor drive. The hydraulic motor is controlled to optimise the performance for the required output condition of the centrifugal pump. 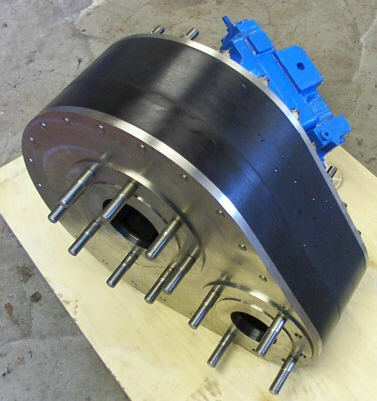 These pumps can make best use of the available hydraulic input power over a wide range of flow conditions. The pump can provide a higher pressure at low flow and a higher flow at low pressure than could be achieved with a simple fixed displacement hydraulic motor. The pumps are suitable for operations where flow conditions can change substantially throughout an operation.